Following his principle that 'the symphony must be like the world. 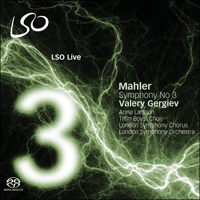 It must embrace everything', Mahler’s all-encompassing Symphony No 3 is his attempt to give all aspects of nature a voice. At its premiere it generated both praise and outrage from critics, some of whom were bewildered by its enormity.